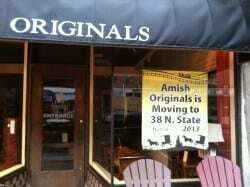 Amish Originals is movin’ on up! For a piece of Amish Originals furniture, 20 years is merely the opening act. The quality workmanship of our products stands the test of time; but for our store—at the same location in Uptown Westerville for two decades— 20 years has seen us settle comfortably under the theater marquee on State Street. So we’ve decided it’s time for a change…of location! In less than 30 days, Amish Originals will be consolidating under one roof, into a brand new space. Still in the heart of historic Uptown, our new home will be at 38 North State Street, a building which we have spent months renovating to reflect the beauty and uniqueness of our furniture and decorative accents. Naturally, we have memories aplenty from our old store—special relationships with customers that have been nurtured and developed over the years. Memories not dissimilar to those made in your living rooms, surrounded by the one-of-a-kind furniture that has passed from our home to yours. In celebration of our new location and in grateful thanks to our diverse and dedicated customers, we invite you to share some of your memories with us. Share a memory or experience in which your Amish Originals furniture played a role. Maybe it was that crazy Thanksgiving dinner where you burned the turkey. Maybe it was the first night you put your baby to sleep (and she actually did!) in her custom-made crib. Each month, the entries will be evaluated and authenticated by an independent accounting firm… or we’ll just pick our favorites and the winners will receive a $100 gift certificate to Amish Originals! 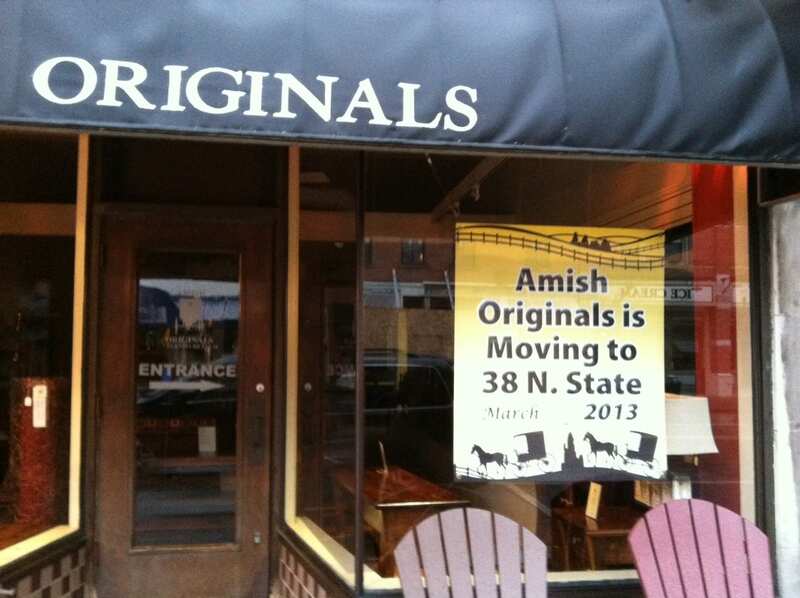 Stay tuned in the coming weeks to learn more about our new store, our grand opening celebration and some exciting new products coming from our outstanding Amish craftsmen.